il dolce momento . 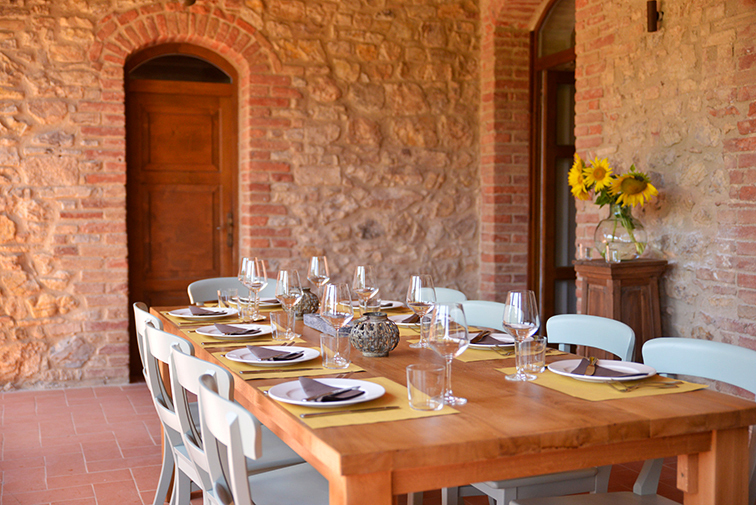 . .
It’s that moment you first arrive at Locanda Cugnanello and your heart stirs. That moment sipping cappuccino as the sun slowly warms la terra Toscana. That moment sitting quietly in the tranquility of your practice. That moment basking in the intoxicating Tuscan light—the light that inspired the artists of the Renaissance. That moment enjoying a glass of wine as the sun sets over the hills. 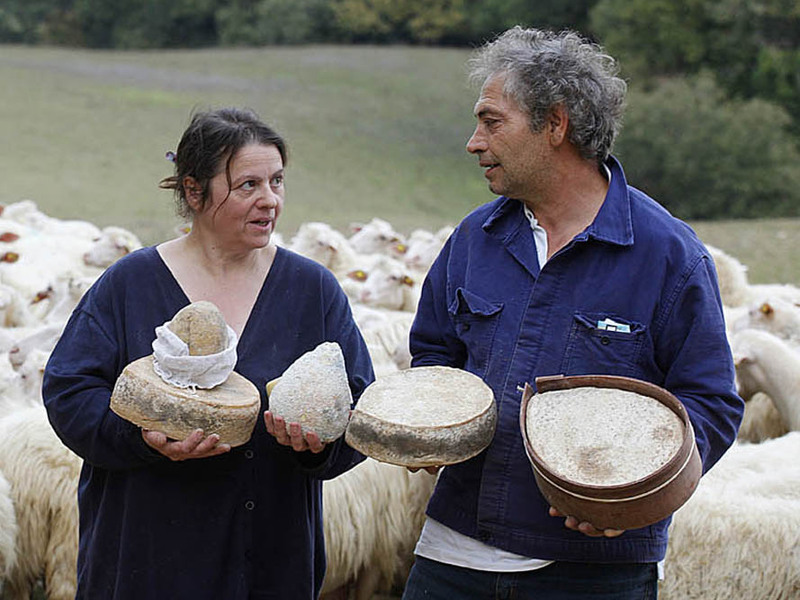 That moment slowly savoring a taste of local formaggio and olio d’olivia. It’s that moment of spontaneous laughter shared with friends old and new. Let yourself experience il dolce momento. Countless sweet moments await as you immerse yourself in the seductive beauty of le colline della Toscana for this 8-day, 7-night cultural yoga adventure. 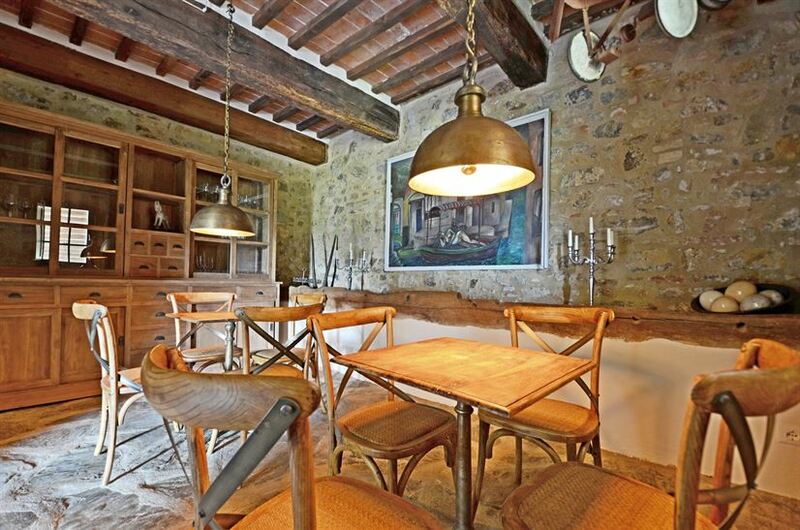 Our home for the week is an 800-year-old villa – Locanda Cugnanello – that sits majestically on a hill in rural Tuscany, inviting us to retreat in its tranquil antiquity. Close by there are many hikes to explore and country roads to encounter that lead to medieval towns like Radicondoli, Castelnuovo di Val di Cecina, and Volterra. 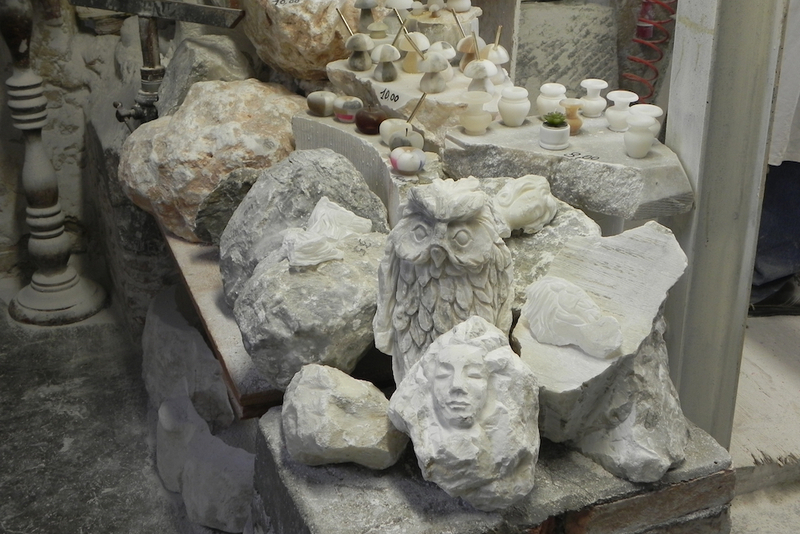 The natural light, ancient history and rich culture of Tuscany enliven our senses. This place unabashedly delivers picturesque landscapes; rolling-hilltop villages; exquisite local wines, cheeses and olive oils; and enchanting Tuscan culture. 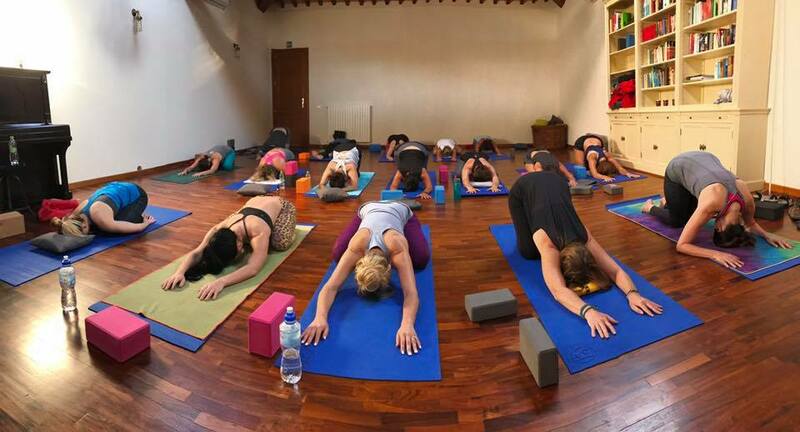 Morning and evening yoga practices will bookend our daily adventures, as we take time to soak in the Tuscan sun, breathe deep the fresh country air, and embark on excursions to explore the natural and cultural beauty of this rich land. Each day begins with a sunrise contemplation/meditation and moves into an active asana practice. Some mornings include thematic mini-workshops and most evenings offer a restorative or yin-like practice. A written retreat guide offers a daily focus and accompanies the week, and journals are provided. Early Morning Active Practice: An early active yoga practice wakes us up. This thematic practice can be tailored to meet your needs. For many, this will be an opportunity to learn and practice new postures. Mid-morning Therapeutic Movement: On days when we are at home at Cugnanello during mid-morning hours, we will meet for therapeutic movement. This practice will include nontraditional balance sequences; bilateral stimulation; and asana with resistance bands. Evening Gentle Practice: Our early evening practice will include elements of slow, fluid movement; yin yoga; restorative yoga; and yoga nidra. There are a number of yoga practices and other activities scheduled daily. Please do not feel pressure to do it all. You may participate in as many or as few activities as you wish. This is your retreat, so make it what it needs to be for you, no one else. It's important that you allow yourself time and space to relax and renew in body, mind and spirit. Go at your own pace. Honor your inner nudges and whispers and let them guide you toward an appropriate level of activity, striking a healthy balance between community time and your own personal time. 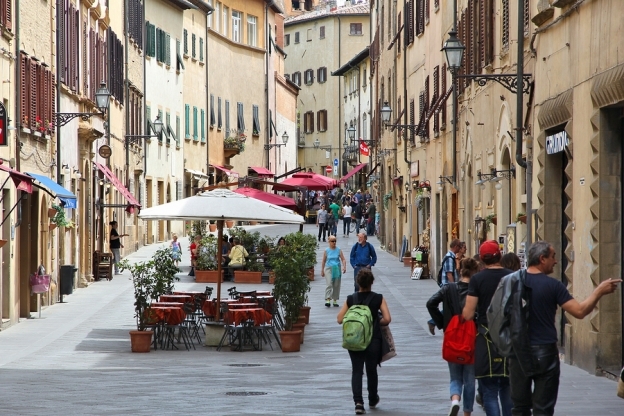 Group transportation will be provided from the Florence Santa Maria Novella (SMN) Train Station to Locanda Cugnanello (the retreat venue), departing early to mid-afternoon from SMN (exact time TBD). 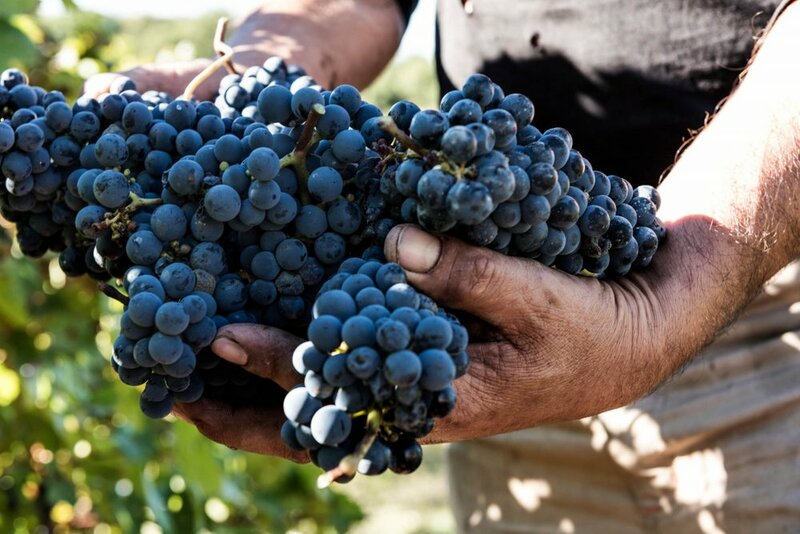 It is a 1-hour, 45-minute drive from Florence to Cugnanello. There is no public transportation to Cugnanello. Room check-in begins at 3:30 PM. Retreat activities begin around 5:00 PM with a Welcome Yoga Practice (about 60 minutes or so). Then it’s time to enjoy our first Tuscan sunset together (official sunset time is 6:27 PM). We’ll bask in the afterglow for a while, perhaps with a glass of wine. Dinner will be served around 7 or 7:30. Group transportation will be provided from Locanda Cugnanello to the Florence SMN Train Station (exact departure times TBD). We will have an early morning yoga practice followed by breakfast, which is our final meal together. Room check-out time is 10:30 AM. We can remain on the property as late as 11:30 or noon. Florence (nearest): 15-20 minutes by taxi (25 euros) from the airport to the Florence Santa Maria Novella (SMN) Train Station, where group transportation to Cugnanello will pick up. There is also a shuttle bus (called VolainBus) from the airport to the SMN station, departing every half hour from the airport. Bus is cash-only (6 euros). Pisa: 60-90 min by train to Florence SMN station. Bologna: 60-90 min by train to Florence SMN station. Milan: 2 hrs, 30 min by train to Florence SMN station. Rome: 2 hrs, 30 min by train to Florence SMN station. If your schedule allows, consider arriving into Italy or elsewhere in Europe on Friday, Oct 18, to settle in and begin to shake off the jet lag—-at least a bit—-so you are a little better rested and refreshed for the start of the retreat. NOTE: This retreat will be limited to 20 participants. You are encouraged to register early. 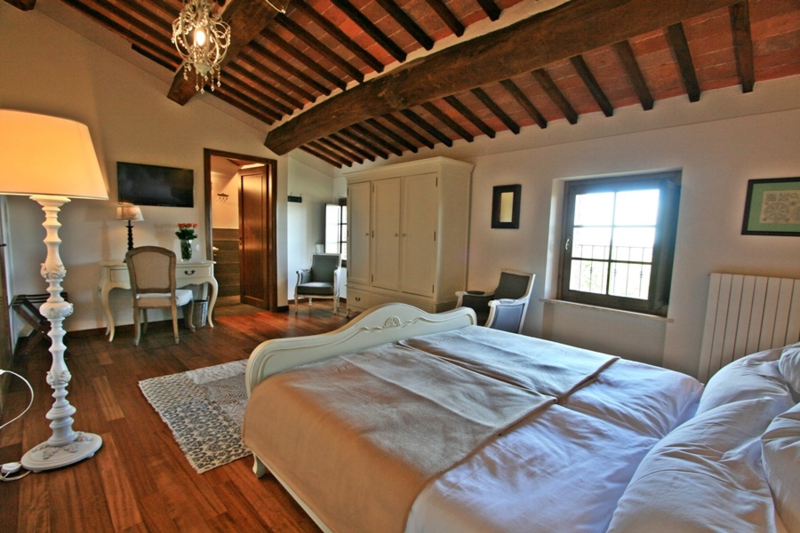 ROOM TYPES: Pictures and further descriptions may be found on the Locanda Cugnanello website. If registering before July 18, 2019, a $500 Nonrefundable Deposit is due with your completed registration form, with the Balance Due July 18, 2019. If registering on or after July 18, 2019, Full Payment must be submitted with your completed registration form. Cancellation requests must be made via EMAIL to info@lindameacciyoga.com. If cancellation request is received on or before July 18, 2019: Your payment(s) will be refunded, except for the $500 Nonrefundable Deposit. If cancellation request is received after July 18, 2019: Your payment(s) will be refunded, except for the $500 Nonrefundable Deposit, ONLY IF your spot can be filled from a wait list.